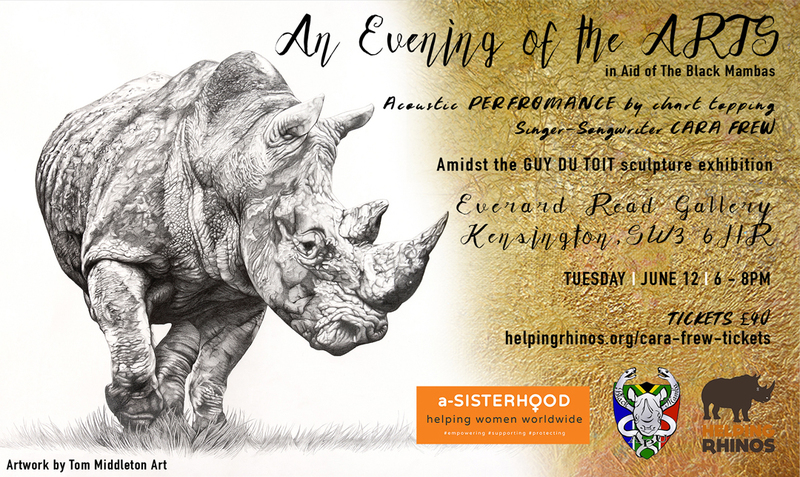 On Tuesday 12 June, a-Sisterhood in collaboration with Helping Rhinos and Cara Frew will host "an Evening of the ARTS" in aid of The Black Mambas - South Africa’s first all-female anti-poaching unit protecting the Rhino. This art inspired, intimate event will raise funds for a worthy cause, while entertaining guests with an acoustic performance by singer Cara Frew; a short talk by Simon Jones, Helping Rhinos Founder and CEO; a few words from Paula Abbandonato, a-Sisterhood Founder and CEO and info on the Guy du Toit sculpture exhibition by Georgie Shields, Director of the Everard Read Gallery, London. Fun packed evening not to be missed! Join us to inspire change. The time for action is now. At 6pm guests arrive at Everard Read Gallery, Kensington to enjoy complimentary welcome drinks. 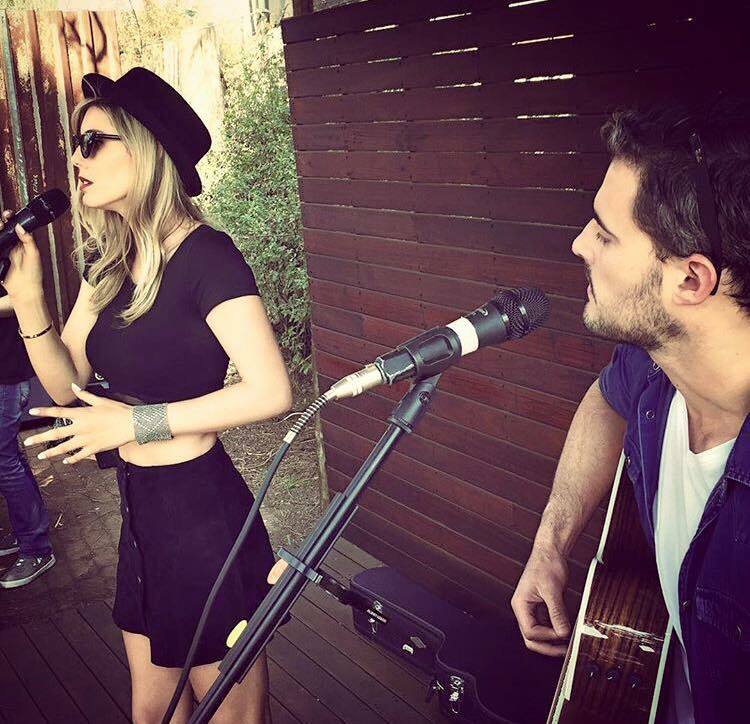 At 6.45pm Cara Frew will perform a 30-minute acoustic set of originals with her guitarist amidst the Guy du Toit sculpture exhibition. At 7.15pm key-note speakers commence and guests enjoy the rest of "an Evening of the ART’s". 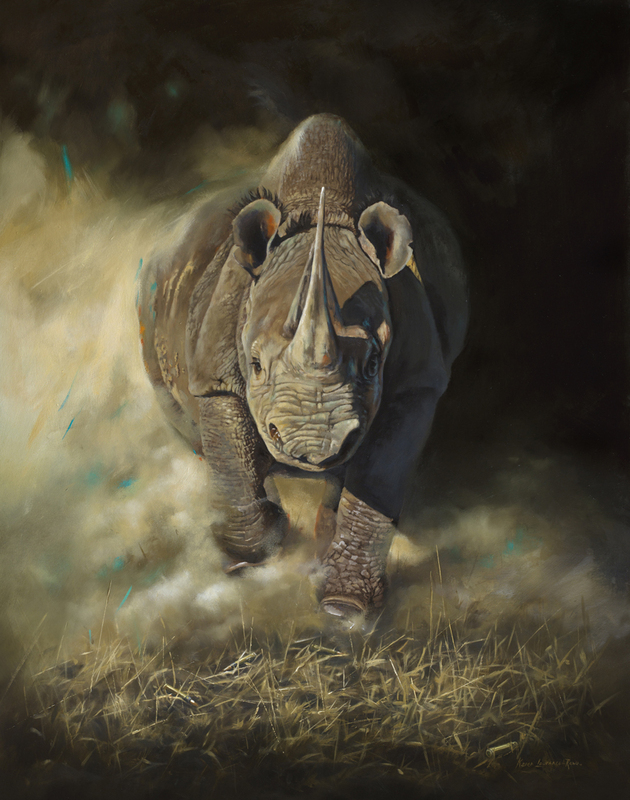 Limited edition print of the stunning "The Accuser" by award-winning wildlife artist Karen Laurence-Rowe. 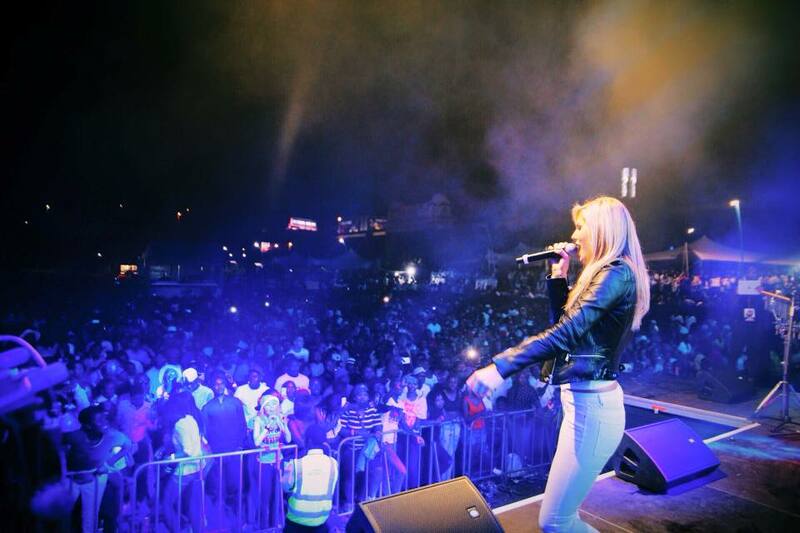 "FLAME", chart-topping singer-songwriter Cara Frew's Debut Album released by Sony Music Entertainment.